The tragedy that hit the ruling All Progressives Congress on Tuesday was pretty predictable, only that it happened on us much earlier than I expected. I understand that partisans would consider classifying Tuesday’s happenstance as tragic outrageous, but if such persons tarry and get a bit more reflective, they would recall that the Peoples Democratic Party was deprived of just half of what the APC lost earlier this week when AminuTambuwal emerged as the Speaker of the House of Representatives on June 4, 2011. But that marginal loss was enough to signal the beginning of the end of the party’s long reign. How then are we able to predict what could happen when a ruling party does not have the confidence of leaders of the two chambers of the national assembly from the very outset? I think it is tragic, especially for a party which bore so much promise. But the APC had it coming. Hinging his decision not to interfere in the selection of the leaders of the National Assembly on the change mantra on which he was elected, President Muhammadu Buhari had stated in clear terms that he was ready to work with whoever emerges from the two chambers. But events have shown that Buhari was alone in the contemplation that change should indeed transform from a mere election slogan into an action word starting with the party. Some stalwarts of the party apparently calling the tunes for members of the National Working Committee insisted that two people, namely Senator Ahmed Lawan and Femi Gbajabiamila, must emerge as the Senate President and Speaker of the House of Representatives respectively regardless of the feelings of other party members who were interested in the offices. Mock elections that they called went on in spite of the boycott of Senator Bukola Saraki and Yakubu Dogara and their supporters with the desired candidates of the powers that be declared elected. From here, a couple of discomforting things came up about the APC. The first is that a party which came to Nigerians with promises for change betrayed the people by going about the selection of candidates for national offices with such a draconian flavour. While it is okay that a party may want to resolve the multiplicity of aspirations for offices among its members, it is counterproductive for party leaders to maintain that only people of their choice would make it to the offices, in spite of the interests of other eminently qualified people. In the aftermath of the emergence of Saraki and Dogara as Senate President and Speaker House of Representatives respectively, I have heard murmurings of over ambition from shocking quarters including the spokesperson for the APC, Alhaji Lai Mohammed. But I wonder whether there is really anything so called amongst politicians. It is legitimate for anyone to seek to attain any office that they desire. If the party on whose platform such a person has any contrary idea, it behoves the party to either present a compromise, compelling enough for the aspirant to reconsider or go defeat him in a free and fair contest. If both parties are unable to reach a compromise, it is within the right of such a candidate to pursue his dream. This is more so when Saraki and Dogara only asked for open internal elections instead of the ones they thought were skewed in favour of candidates of some leaders of the party. In any case, wouldn’t the desire of members of the NWC and their sponsors to decide who occupies these positions also amount to over ambition if we were to employ the same standards? Another point suggesting that Saraki and Dogara would have good company if the over-ambitious tag should stick is that in spite of the enormous capital that the duo and others brought to the APC when they left the PDP in 2014, the party, by insisting that none of them was good enough to take the numbers three and four positions in the land, bares its disrespect for justice, fairness and equity. This is in spite of the realisation that no politician makes such sacrifices for the love of God. All politicians make moves which would ultimately further their career and these veterans know this but chose to be self-centred. The second unfortunate fallout of the scramble for power by leaders of the APC is that they left the President bare. Nearly two weeks after the swearing in of President Buhari, key intervening positions like that of the Secretary to the Government of the Federation as well as that of the Chief of Staff to the President have not been filled. The reason for this couldn’t be far from the struggle for relevance among various groups of people that came together to form the APC. The result of this is that Buhari is left without quality advice. He is left open to a wild fire, without the advantage of deniabilityfor any step or misstep that he might make. This, to my mind, would account for the reason why the President sent the Order of Proclamation to the National Assembly way ahead of the inauguration of the assembly. Were the party leaders more alert to the need to protect the President, such a proclamation would have been withheld until possibly after the President’s scheduled belated meeting with the APC legislators. The President’s letter to the Clerk legitimised the sitting of the senators who elected Saraki. Tuesday’s event should send a signal to the leaders of the APC that there is no one person with the exclusive blessing of strategic thinking. In actual fact, the master stroke of seeking the adoption of the senators elected on the platform of the PDP shows Saraki and Dogara as strategic political thinkers that the APC should not joke with. In addition to that, it suggests that those who opposed the candidacy of these two winners are actually not as adept as they appeared to be. It is unthinkable that they imagined that their candidates would win the elections without the support of the PDP members such that Saraki had them all behind him, no matter what he had to concede. After all, negotiation is one of the most important skills that a leader should possess, an asset that a political party should pursue. Typical of the way politics is played in Nigeria however, the APC fired a salvo at Saraki and Dogara calling them all sorts of names on Tuesday. A statement issued by Mohammed rejected the emergence of both gentlemen threatening that the party would sanction them. Let us hope that the threat will not go beyond the paper on which it was printed and that leaders of the APC would bury the hatchet and not allow their egos to overrun them. Evidently, the party will now want to preach the importance of party supremacy and discipline, but the truth is that enforcing such principles also demands a measure of impartiality from those who have the responsibility of leading the party. Without clean hands, the leadership of the APC cannot demand equity. The party hierarchy therefore needs to rein in all the burgeoning egos that have been bruised by the Coup de main spearheaded by Saraki. Going ahead with the threat to reject the elections and sanctioning the winners will drag the APC into a needless crisis which will be unhealthy for it and the nation. What I think the APC should concentrate is how to support President Buhari and the National Assembly in providing meaningful leadership to Nigerians. The power tussle which will result from those threats will deepen the gulf of distrust in the party, push these gentlemen farther away and set the tone for the failure of an administration on which Nigerians have placed all their hopes. 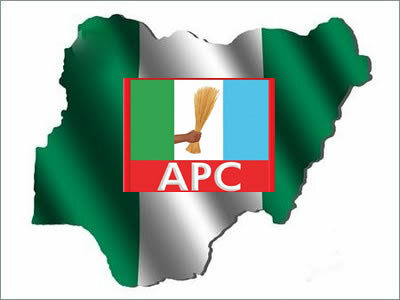 It will also be the seal on the coffin of the APC and the ultimate tragedy, the kind which will make a child’s play of the confusion that visited the PDP after the March 28 elections. Let the APC save itself from this looming disaster.